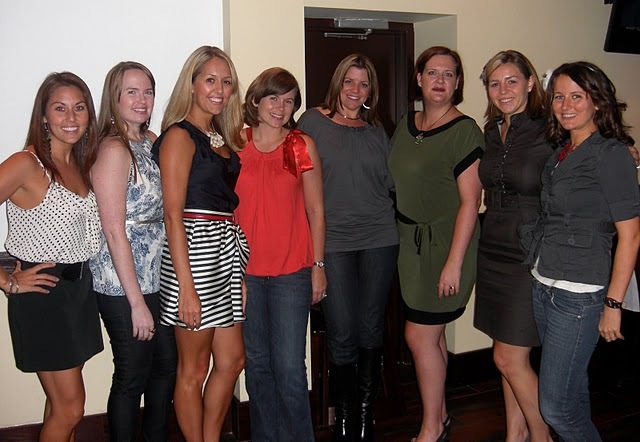 Pulse of Central Florida’s favorite fashion blogger, J, of J’s Everyday Fashion blog coordinated an awesome get together of some of Orlando’s lovely lady bloggers last night at Winter Park’s Nelore Steakhouse (yum!). Set just off Park Avenue (corner of Park & Lyman), Nelore is a Brazilian Churrascaria that serves meat ‘gaucho style’ meaning that the vast selection of meats (15 different cuts) are served up table-side until you say stop (seriously!). Their menu also includes a salad bar filled with some of the yummiest things we’ve ever seen on a salad bar (roasted peppers, asparagus, cheeses, you name it). What really struck me last night was the service. The staff was so gracious and our server was on the ball. Great atmosphere, too. If you’re looking for a way to shake up your week, head over there for live music Tuesday & Wednesday nights. Shout out to Gustavo aka daFoodie, too! SO SAD I missed it =( Can we do a get together when I get back into town?? Glad you ladies had a blast! We missed you, too, Colleen! We’re talking Wine Room for the next one, so YES!!! Now I feel so left out because I’m not a chick! Ha ha ha! Kim: We gotta get on this Tweetup now – everybody else is showing-us-up! I actually went for lunch the day after (today!) and went straight for those roasted peppers and the black beans with some fried yuca on top. w00t! !